2002 brought about the long-awaited expansion of the Women’s Five Nations tournament to accommodate six teams, but many neutrals who tuned in to watch the first ever round of W6N fixtures may have been tempted to declare the induction of Ireland a premature move, as stated on https://www.scrumqueens.com/. Predictably, they finished last, and a year later, all three opening fixtures ended in landslide victories for England, Wales and Scotland. “Anything you can do”… England women destroy Ireland in the 2019 Six Nations opener. English teams have always had their main rivals for glory, all of which are based on geography, form or both. Right now, as can be seen here: https://www.betfair.com/exchange/plus/rugby-union/market/1.141497575 the England men’s team are now massive favourites to lift the trophy, having beaten Ireland away in Week 1. Back in 2004, the England women’s main rivals for the title were a French team that looked threatening, but inferior in the attacking department. Both nations had enjoyed stellar W6N campaigns, but with England boasting a points-difference that eclipsed France’s by 103, the pressure was all on the blue-shirted heroines that took to the Bourg-en-Bresse pitch on 27 March 2004. The game shifted backwards and forwards, though most of the early momentum was with England. However, France kept pace and scored a decisive try as the game reached its enthralling end. Ahead of this year’s tournament, each captain gave their thoughts. Six years later, England and France once more did battle for ultimate victory, and – once again – England boasted a far superior points difference over their old enemy ahead of kick-off. However, France were clearly boosted by the passionate home crowd, and it was the hosts that struck first through a penalty. Having scored five conversions in her previous appearance, Aurélie Bailon was well-known as the dead-ball specialist, and she made no mistake. France’s lead lasted all of three minutes, with Amy Turner making it 5-3 via a game-turning try. That is how it stayed until half-time, and in nine furious second-half minutes, the destination of the trophy was decided in seismic fashion. First, Katy McLean scored a penalty seven minutes after the restart to extend England’s last to 8-3. Then came a try from Céline Allainmat, which was duly converted by Bailon for 10-8, before McLean’s 64th-minute penalty settled the game and saw England take the honours. 2010 also saw England pick up a comprehensive win over Wales. 2016 was another significant year in the women’s game in Europe, as demonstrated on http://www.rugbyfootballhistory.com/, but where the action is concerned, France and England were once more engaged in a final-day tussle for glory. In a mirror opposite of the 2010 finale, England flew out of the traps and took a 7-0 lead after 25 minutes, with Lydia Thompson’s try and Amber Reed’s conversion putting England in the driving seat. Just when it looked as though England would go on to take such a sizeable lead into the recess, Gaëlle Mignot scored her first try of the match, though Camille Cabalou missed the conversion. The game then turned on its head in the 55th minute, with Audrey Forlani scoring a try and Cabalou finding the hallowed space between the posts on her second attempt. 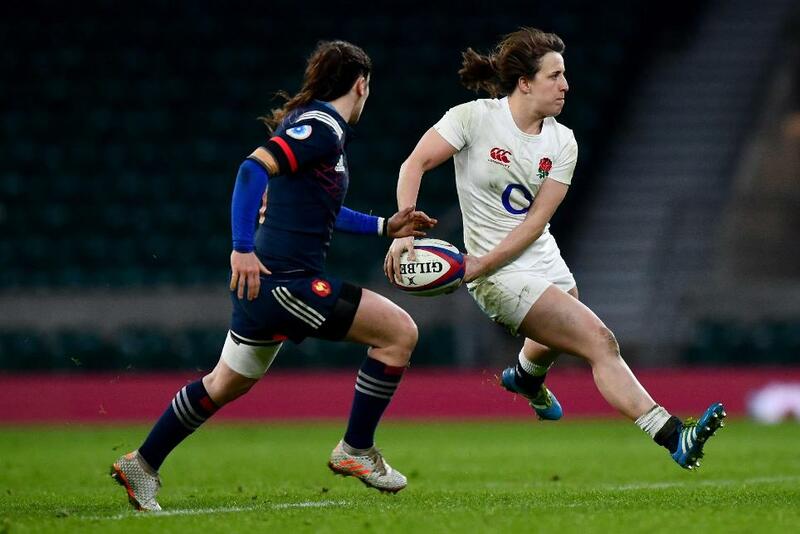 Tamara Taylor gave England hope with a try on the hour mark, but Reed was unable to convert, and Mignot scored a second try to seal the honours for France.